Four growing seasons after the engineered spring flood of the Colorado River Delta in March 2014, the delta’s birds, plants and groundwater continue to benefit, according to a report prepared for the International Boundary and Water Commission by a binational University of Arizona-led team. The report “Minute 319 Colorado River Limitrophe and Delta Environmental Flows Monitoring Final Report” was released today by the U.S. Commissioner of the International Boundary and Water Commission Jayne Harkins at the Colorado River Water Users’ Association Annual Conference in Las Vegas. “This report provides solid scientific information about our restoration efforts. The findings will help us apply environmental water more effectively in the future,” Harkins said. The report documents the effects of the environmental flows in the delta from the initial release of a pulse of water from March 23 through May 18, 2014, plus subsequent supplemental deliveries of water through December 2017. The 2014 pulse flow delivered a fraction of the water the pre-1960 spring floods delivered. People from the Sonoran Institute and Pronatura Noroeste cleared two areas of non-native vegetation beforehand. Restauremos el Colorado has since cleared a third site. The restoration teams hoped reducing competition would allow native plants such as willows and cottonwoods to germinate and grow after the pulse flow. The teams planted more than 275,000 willows, cottonwoods, mesquite and palo verde trees in three actively managed restoration sites that total 915 acres (370 hectares). Survival rates for the trees range from 75 to 95 percent. Some of the trees are now more than 14 feet (4.2 meters) tall. “The restoration teams from the Sonoran Institute, Pronatura Noroeste and Restauremos el Colorado are applying what we’ve learned to locate and prepare restoration sites, plant native trees and deliver just the right amount of water at just the right times,” Flessa said. The diversity and abundance of birds of special conservation concern increased after the pulse flow and remain high in the restoration sites, the researchers write in the report. 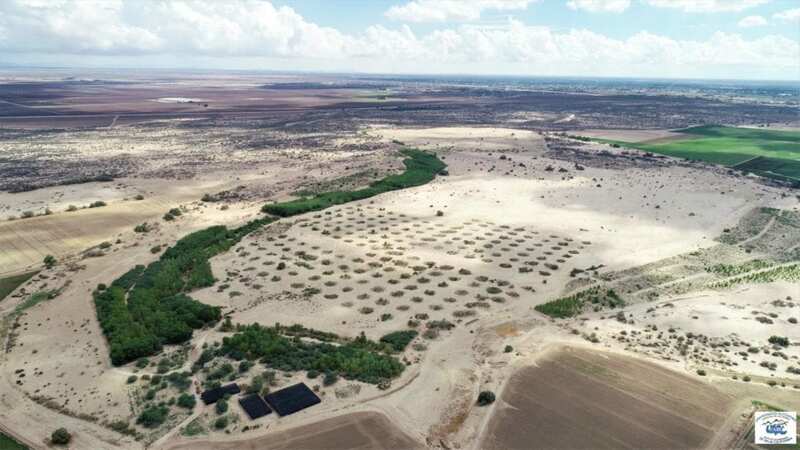 In addition, the researchers found the pulse flow recharged groundwater in the delta and showed it was possible to reconnect the Colorado with the Gulf of California. Flessa, Eloise Kendy of The Nature Conservancy, Karen Schlatter of the Sonoran Institute and J. Eliana Rodríguez-Burgueño of the Universidad Autónoma de Baja California compiled and edited the “Minute 319 Colorado River Limitrophe and Delta Environmental Flows Monitoring Final Report” on behalf of the International Boundary and Water Commission. The Minute 319 monitoring team included 39 scientists from universities, government agencies and nongovernmental organizations from both Mexico and the U.S., including El Colegio de la Frontera Norte, the Ensenada-based Pronatura Noroeste, Restauremos el Colorado, the National Audubon Society, The Nature Conservancy, the Tucson-based Sonoran Institute, the Universidad Autónoma de Baja California, the University of Arizona, the U.S. Geological Survey and the U.S. Bureau of Reclamation. Other UA members of the monitoring team are the late Ed Glenn of the UA Department of Soil, Water and Environmental Science, and Martha Gomez-Sapiens and Hector Zamora of the UA Department of Geosciences. The International Boundary and Water Commission and its partners continue with their restoration efforts under Minute 323, an agreement covering a nine-year period through 2026. Minute 323 provides for at least 210,000 acre-feet of water for environmental purposes, $9 million for scientific research and monitoring, and $9 million for restoration projects. The UA’s Flessa is the lead scientist for the science and monitoring effort.